Just a reminder: I love you. ❤ | Best I love you quotes for him and her! We created this quote for one reason only. For you to share it with someone you love. Make that special someone smile and feel good by sharing this I love you quote with him or her! If you like love quotes and sayings about happiness and relationships, then you’ve come to the right place! We have got thousands of our own original quotes for him and for her and we know you’ll find that perfect quote that you can share with someone you like or love! 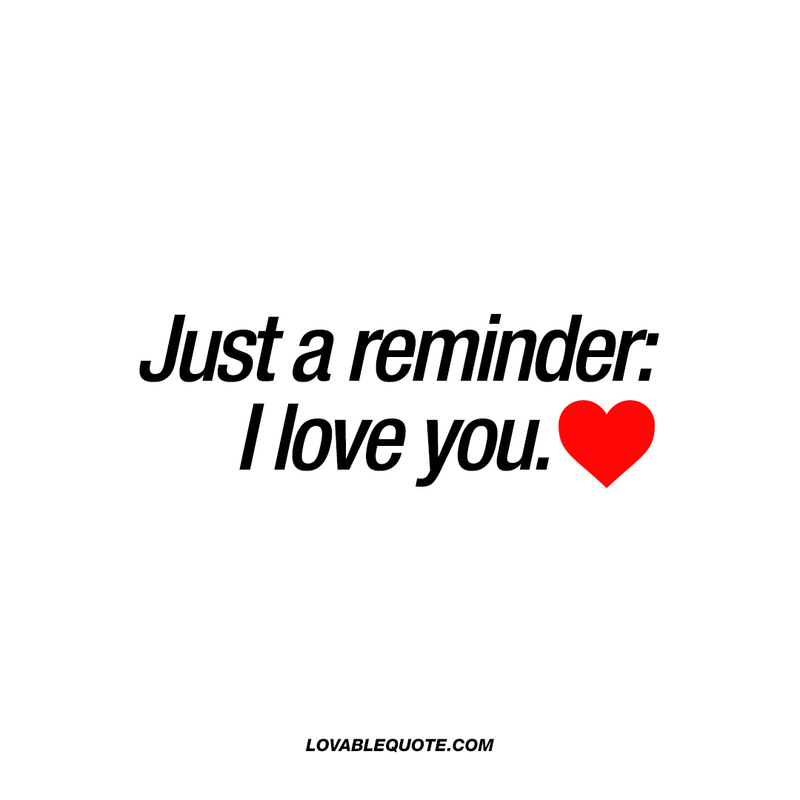 This “just a reminder: I love you” quote is copyright © Lovable Quote 2017.